How Five Steps Became Four In The Disability Determination Process. Social Security Administration has finalized the expedited sequential evaluation process, making Step 4 optional for the ALJ. The Social Security Administration has finalized its rules to expedite the five-step process for evaluating a disability claim by giving adjudicators the discretion to skip step 4 and proceed directly to the fifth step when the Administration has insufficient information about a claimant’s prior work history to make the findings required at step 4. However, if an adjudicator finds at step 5 that a claimant may not be able to adjust to other work existing in the national economy, the adjudicator will then return to step 4 to develop the work history and make a finding about whether the claimant can perform his or her past relevant work. According to the Administration, the purpose of these changes is to promote administrative efficiency since the time the Administration spends in obtaining the work history needed to make step 4 findings frequently delays the processing of claims and requires the Administration to divert its limited administrative resources from processing other claims. At step 4 of the sequential evaluation process, the Administration determines whether a claimant can perform his or her past relevant work given his or her residual functional capacity (RFC). The Administration will look at the past fifteen years of a claimant’s work history for relevant information. 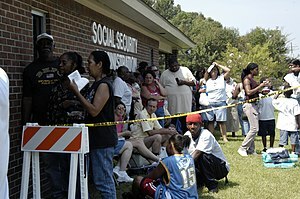 To make a proper evaluation, the Administration needs information about each of the claimant’s jobs during that period, including information about job duties, tools or machinery used, the amount of physical exertion required in terms of the amount of walking, standing, lifting, and carrying during the workday, the length of time that a claimant worked each job, and the physical and mental demands of the job. With this information the Administration compares the claimant’s RFC to the physical and mental demands of these past relevant jobs to determine if the claimant can still perform any of them. If so, the claimant is found to be not disabled. However, if the claimant is currently unable to perform any past relevant work, the adjudicator will proceed to step 5. At step 5 the adjudicator determines whether a claimant’s impairments prevents him or her from doing any other work that exists in significant numbers in the national economy, considering his or her RFC and vocational factors such as age, education, and work experience. If the Administration finds that the claimant can adjust to other work, the claimant is found to be not disabled. Because it can be time-consuming to gather all of the necessary information regarding the claimant’s work history during the fifteen-year period that precedes the alleged disability onset date, disability determinations are often delayed. By going directly to step 5, a determination can be expedited if it is determined that a claimant is not disabled under the criteria for step 5. At step 5 the adjudicator would consider if the claimant is disabled based on (1) The special medical-vocational profiles set forth at Reg. §404.1562; (2) the Medical-Vocational Guidelines (Appendix 2 to 20 CFR, Part 404, Subpart P), whether directly or as a framework, or (3) an inability to meet the mental demands of unskilled work. If application of the step 5 rules indicates that a claimant may be disabled or if the adjudicator has any doubt whether the claimant can perform other work existing in significant numbers in the economy, the adjudicator must return to step 4 since the Social Security Act requires the Administration to make a finding about a claimant’s ability to do past relevant work before a determination is made that a claimant is disabled at step 5. The expedited process is reflected primarily in Regs. §404.1520 and §416.920. The Administration believes that this approach to evaluation could shorten some process times in some cases because there would be no need to collect unnecessary work history at step 4 for claims that can be appropriately denied at step 5 based solely on the claimant’s age, education, and RFC. This process has already been used for the past 12 years in ten “prototype” states. (These states are Alabama, Alaska, California (Los Angeles North and Los Angles West Branches), Colorado, Louisiana, Michigan, Missouri, New Hampshire, New York, and Pennsylvania.) This expedited process will be used in all disability evaluations except for childhood disability claims under Title XVI, since those claims do not use vocational criteria. The regulations, as proposed on September 11, 2011, are adopted with a few minor changes. The Administration agreed with a comment that adjudicators who do not make findings at step 4 of the sequential evaluation process using the expedited process must consider the potential application of the “special medical-vocational profiles” before proceeding to step 5. Those profiles are sent forth at Reg. §404.1562, SSR 82-63, and POMS DI §25010.001. If a claimant fits one of these profiles, a finding of disability will be made. The profiles include (a) persons not working at substantial gainful activity level who have worked for 35 years or more in arduous physical labor, can no longer perform this work due to an impediment, and have no more than a marginal education; (b) individuals 55 or older who have a severe impairment, no past relevant work, and have no more than a limited education; and (c) persons who are not working at SGA level, and have a lifetime commitment (30 years or more) to a field of work that is unskilled, or is skilled or semi-skilled but with no transferable skills, can no longer perform this past work because of a severe impairment(s), are closely approaching retirement age (age 60 or older), and have no more than a limited education. Accordingly, references to Reg. §404.1562 will be included in some of the regulations being amended, and a similar reminder will be inserted into an electronic tool used at the initial stages of the administrative review process. The full text of the Administration’s announcement was published in the July 25, 2012, issue of the Federal Register (77 Fed. Reg. 43492).